Brother #2 (Reyes) had a birthday last week, Jan. 6th… obviously just a tad late, but never the less, he will know it was especially made just for him. My brother is a very sweet and loving brother. He has helped me out during times of trouble and has always been my ATM, my hotel, my mechanic, and my friend. He is a great family man and his life got sweeter when he married my childhood BFF 20 some years ago. 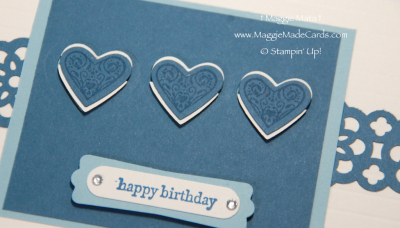 Love is in the air as the Stampin’ Pretty Pals share the love with cards and projects for today’s Pals Blog Hop! You’ve probably hopped over from Linda Fisher at Linda’s Stamin Loft, I’m stop number 2 on the Pals Hop and I’m glad you hopped in! 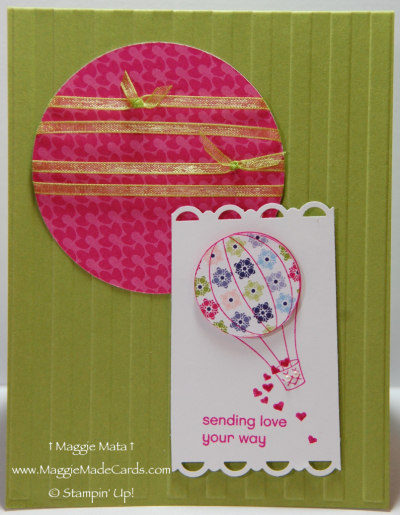 I’ll help you “hop along” from blog to blog where you’ll find great ideas for love themed paper projects from the Stampin’ Pretty Pals. 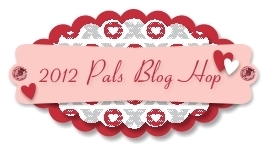 Should you hop off course, simply click on any of the links in the Pals Hop Line-up below and you’ll be back on track. [pinit]I want to know what loves is… I want you to show me… aahhh, I love Foreigner! The theme to this blog hop is full of Foreigner’s lyrics to their hit song, and through the clouds I see love shine… go on finish it. I knew immediately the AIN’T LOVE GRAND hostess stamp set was going to be a hit. Upon finishing my card, I was reminded that LOVE NEVER FAILS. Don’t forget to give those you love a special message of love on Valentine’s Day. Check our blogs often to get ideas of what you too can make. Punches: Scallop Trim Border Punch (118402), 2 1/2 Circle (120906), Air balloon was cut with scissors after stampin it on Cheerful Treat DSP paper. 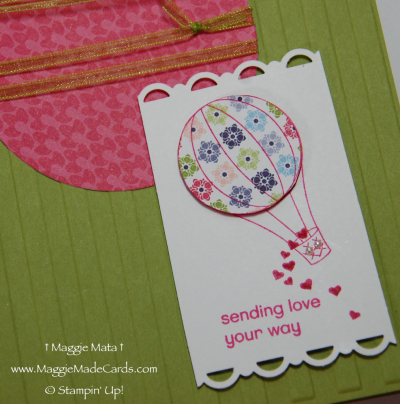 Now hop along for more inspiring ideas from Kim Luithle at Kim’s Stampin Stuff, stop number 3 on the Love Is In The Air Pals Blog Hop! Thanks for “hopping” by! Frenchiee Hum at Frenchiee’s Spot. 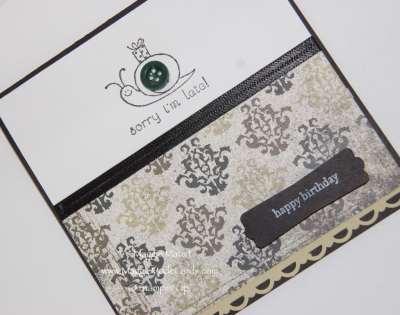 Julie Trevett-Smith at The Stampin’ Affair! WoW! is all I think of when I made this card. I litteraly made this card in 15 minutes! No kidding. I wanted to make the Freshly Made Sketches #16 contest and my goal was to get it done sometime before midnight. 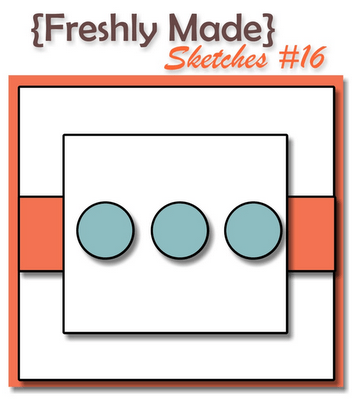 I have just a few minutes left… feel free to check out all the other cards that were submitted for the contest at Freshly Made Sketches. The sketch seems simple enough and I just had to give it a try. 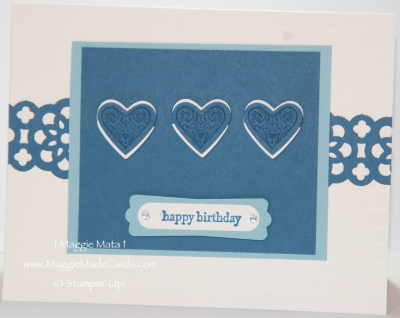 for ingredients to make this card and many other projects.